Welcome back wrestling fans as we take another look back into the history of this great business. After last week’s article on WCCW, I found it only fitting that we should follow that up with the United States Wrestling Association this week. 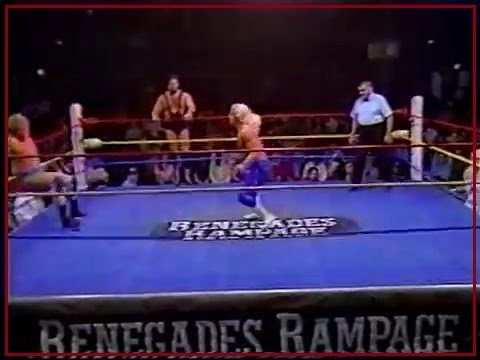 I have very vivid memories of this promotion, and its signature Renegades Rampage logo in the center of the ring. Even though they took over when World Class eventually faltered, they never lost it’s hard hitting, tough style of wrestling. In the two short years that it was in production, it saw many of the young stars come through it’s doors that would make names for themselves in the decade ahead. Three of these men would rattle the wrestling game to it’s foundations, and spark a renewal in the product that is still looked on by many as the greatest era the WWF(E) would ever experience to date. Two of these wrestlers would begin their time with the company just prior to the take over of WCCW. Coincidently their careers would become more intertwined than they would have ever realized, back in their days in Texas. Mick Foley came to WCCW in November of 1988 and soon joined up Skandor Akbar and his nefarious Devastation Inc. faction. Working under the name Cactus Jack Manson, he quickly established himself as a force to be reckoned with, within the stable of heels. Foley held the USWA Tag Team Titles and the WCWA World Tag Team Titles with “Sheik” Scott Braddock. They had the distinction of being the first tag team champs in the new USWA federation. He also traded the WCWA Light Heavyweight Title back and forth with Eric Embry during Embry’s feud with Akbar’s Devastation Inc. 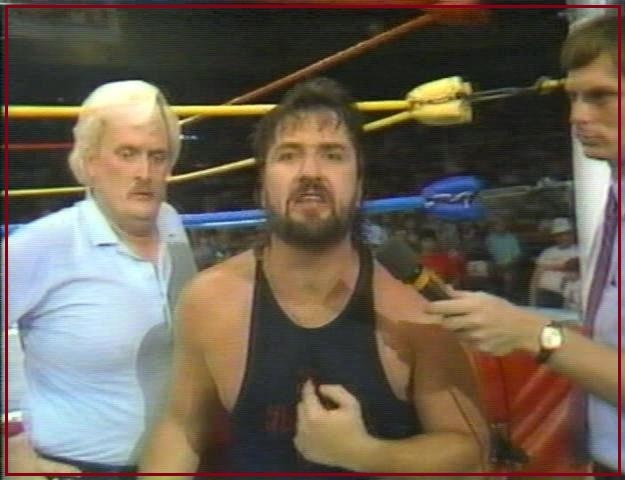 He was beaten by Eric Embry for the title in his last match for the company in 1990. The match lasted 9 seconds. Mark Calaway, or The Undertaker, as the world knows him, first joined WCCW and debuted in 1984 in the promotion as Texas Red. In his debut match he was pitted against Bruiser Brody, which he lost. He wrestled for a few more years until he moved on to the CWA promotion under Jerry Jarrett, where he worked as The Spoiler and several other lackluster gimmicks. It was fat that ended up bringing him back to Texas when Jarrett became part owners in WCCW. Calaway would re-emerge back in the company in 1989 under the name Master of Pain. He challenged Jerry Lawler to a match for the USWA Unified World Heavyweight Championship upon his arrival. One week later, on April 1st of that year, Calaway won the title from Lawler. This would be the first of many championship reigns for the future Deadman. While competing as The Punisher, he also won the WCWA Texas Heavyweight Championship from Eric Embry on October 5th, 1989 by forfeit before departing from the company. Kerry Von Erich would take that title from him just fifteen days later. The next step in the re-tooling of the old WCCW was to rename it’s television programming to further focus it’s new branding. The World Class Championship and Wild West Wrestling shows were renamed USWA Challenge and the USWA Main Event. With everything in place the next year saw several feuds in the USWA, including a hot rivalry between Eric Embry and heel Billy Travis. Travis used a gimmick that could be seen later in Honky Tonk Man and Jeff Jarrett. He would carry a wooden guitar to the ring, while singing and tormenting the crowd with his bravado. He used the guitar as a foreign object on many opponents, and in one famous story he hit Percy Pringle with a guitar and then told everyone how it was given to him by Mick Jagger. The feud ended in a blinding angle where Travis used a substance that he smeared in Embry’s eyes that sidelined him for several weeks after. That year also saw a feud begin between Eric Embry and Chris Adams that lasted until the end of the decade. At that same time, Adams began training a green student who had traveled to Dallas to start the next phase of his life and begin his wrestling career. Little did he know that this young man from Edna, Texas would change the world of professional wrestling and become the biggest modern era draw to ever lace up a pair of boots. Steve Williams passed through Chris Adams’s wrestling school at the Sportatorium, and made his in ring debut in 1989 for WCCW. He worked there for a few months before the merger with CWA. When the companies merged, members of the new management team pushed to have Steve change his ring name. It was suggested by Dutch Mantell that he change his last name so as not to be confused with CWA performer Steve “Dr. Death” Williams. He changed his ring name to Steve Austin, even thought he had reservations about it due to the popular Six Million Dollar Man series, as he felt it would take away from his character. Austin soon became involved with a feud in 1990 with Adams that began with a slow build. The two fought back and forth as the feud between them grew. Having the eye for an angle, Adams decided to bring in his former girlfriend from Great Britain, Jean Clarke to become a valet for Austin and his own wife, Toni to be his valet. With his ex-girlfriend, and his current wife at the time involved in the same angle, there was most certainly natural heat that rose up and added to the drawing power of it. Austin used old photos of Adams and other women from his time in England and other promotions to try to sow the seed of infidelity between them. The whole thing came to a climax with Austin facing Adams in a come as you are match. Adams came to the ring kitted out in his Judo gi, and brandishing a kendo stick. The weapon would prove to be ineffective, when Austin emerged wearing his old University of North Texas football gear, including the helmet. Austin and Clarke became a couple and eventually moved on from Texas, to the WCW promotion where he became known as Stunning Steve Austin. It wasn’t until that his then wife, Jeanie (Clarke) Austin gave him the nickname that would take his career into overdrive and give the word the greatest in draw of the next decade. He was famously drinking a cup of coffee and his wife told him to finish it before it became stone cold. The rest of that story lives is wrestling infamy. 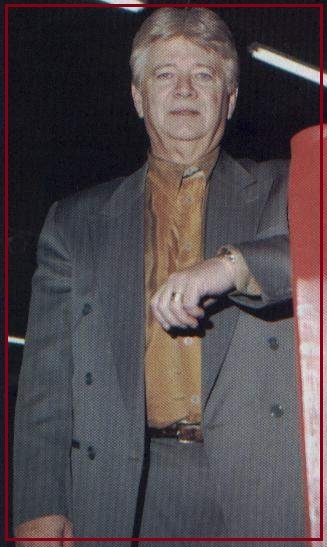 During the years that Jarrett ran the Dallas branch of his USWA promotion, he managed to get it out of the red and actually turn a nice profit. He would eventually pull his interests out of Dallas not long after a television taping for their programming on KTVT, when Austin hit a piledriver on Adams while he was out on the concrete floor. This, combined with an incident at the same show where “Hollywood” John Tatum superkicked Kerry Von Erich’s valet, Tessa in the head. The station decided that the program had become too violent for them to air. The dropping of on-air profanity was also a point of contention for the network, which made their decision to cut programming even easier. Without the television exposure, the promotion was left in a lackluster state of affairs. In 1990, the USWA made it’s final run in Dallas. In the summer of the following year the new promotion of Global Wrestling Federation was launched. This splintered the old CWA, WCCW, and USWA crews between several promotions in that area, while still others left the territory entirely to pursue their fortunes elsewhere. After 1992 the promotion kept to its mainstay headquarters in Memphis. By this time the two major promotions of WCW and WWF had already began to eat up the territorial landscape. Once Jerry Lawler signed with the WWF, a surge of talent exchange and transitions started to take place. It was just three years later that the two flagships would become locked in the Monday Night Wars, leaving the USWA in it’s wake, and in many people’s opinions, a casualty of that war. The USWA ran live shows on Monday’s nights at the local arena in Memphis, and it wasn’t long before people made the choice to stay home to watch the War, instead of coming out to see live local entertainment. Lawler and a partner bought out the rights to the USWA from Jarrett in 1996. He turned around and sold it the next year The company was dissolved into the XL Sports, which later fell into litigation as it’s owner was found guilty on RICO statutes in Federal court in Ohio. Many promoters and territorial figureheads had to band together as the rush of workers left for the WCW and WWF in the late Eighties. As their headliners trickled out for better offers and brighter futures, they had little choice but to try to band together, to stand against the rising of a tide that would eventually overtake them all. As the flood waters receded only the two juggernauts were still visible to the wrestling audience. Like I’ve said in the past, all territorial roads ended at either one, or the other of them. This brings us to the end of another chapter in the annuls of our wrestling history. With each territory we delve into, we will undoubtedly discover and unearth more history of interconnected promotional territories across the country. It was this rooted network that kept that system alive, and allowed it’s denizens to travel between regions, perfecting themselves and their wrestling styles. This individuality is one of this things that made professional wrestling so great during that time. Until next week Bruthas and Sistas, remember….our wrestling history is gold, so DIG IT! !